A diverse range of musicians including Richard Hawley, The Clash's Mick Jones and Sixties chart-topper Gerry Marsden are performing a new version of The Hollies' hit He Ain't Heavy, He's My Brother. Robbie Williams's former song-writing partner Guy Chambers is to produce the single which will be released on December 17 with the aim of hitting number one in time for the festive season. Proceeds from the single will go towards the Hillsborough families' legal costs in their fight for justice. It comes in the wake of a damning report into the handling of the deaths of 96 Liverpool fans who died as a result of a crowd crush at Hillsborough stadium in 1989. Other acts due to feature on the single include The Farm's Peter Hooton, Pete Wylie and Oasis drummer Chris Sharrock who first found fame with Liverpool band The Icicle Works. The Zutons' Dave McCabe, Paul Heaton and Cast's John Power are also taking part and other names are expected to be added. The single was announced by Liverpool Walton MP Steve Rotheram, who said: "Whilst we are confident that the campaign for truth and justice is nearing a conclusion, for 23 years the bereaved Hillsborough families have carried the eternal flame of hope that we would one day see those responsible brought to justice. All profits from this CD will go towards assisting with any legal costs incurred in that fight. The families have suffered enough." He was accompanied by Liverpool football star Kenny Dalglish, who went on to manage the team, and Chambers at the launch within the Houses of Parliament. 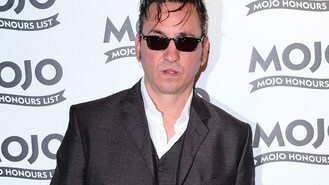 Chambers said: "I am deeply honoured to be asked to produce this record for the 96. If we can help to raise money to support the families' legal battle so that they finally get their time in court then our job will be done. I spent my teenage years in Liverpool and feel a deep affection for both its musical heritage and the unique solidarity of its people."